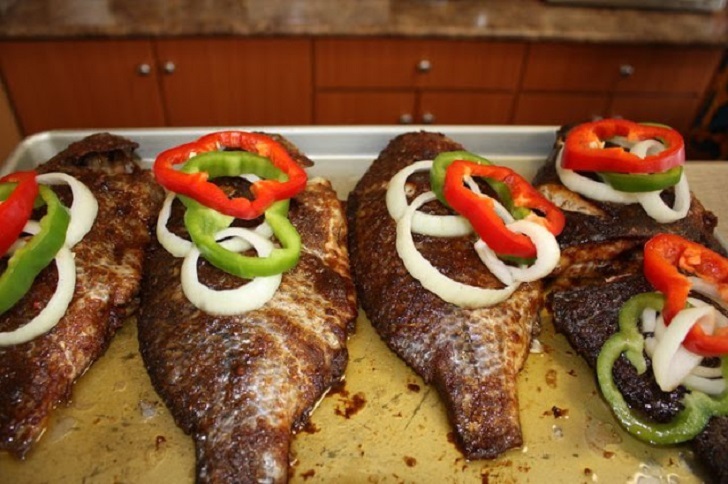 This post seeks to help you prepare Grilled Tilapia. Tilapia is a delicious, lean white fish and you may like to eat with rice or any food of choice after grilling it. Blend the onion, ginger, garlic, and pepper and season together. pour the blended mixture on the tilapia and ensure every part is well covered with it. Put it under the grill for 10-15 min and turn it over for a few more minutes 10 minutes. Garnish with stir-fried mixed pepper and onion with some herbs eg. parsley.